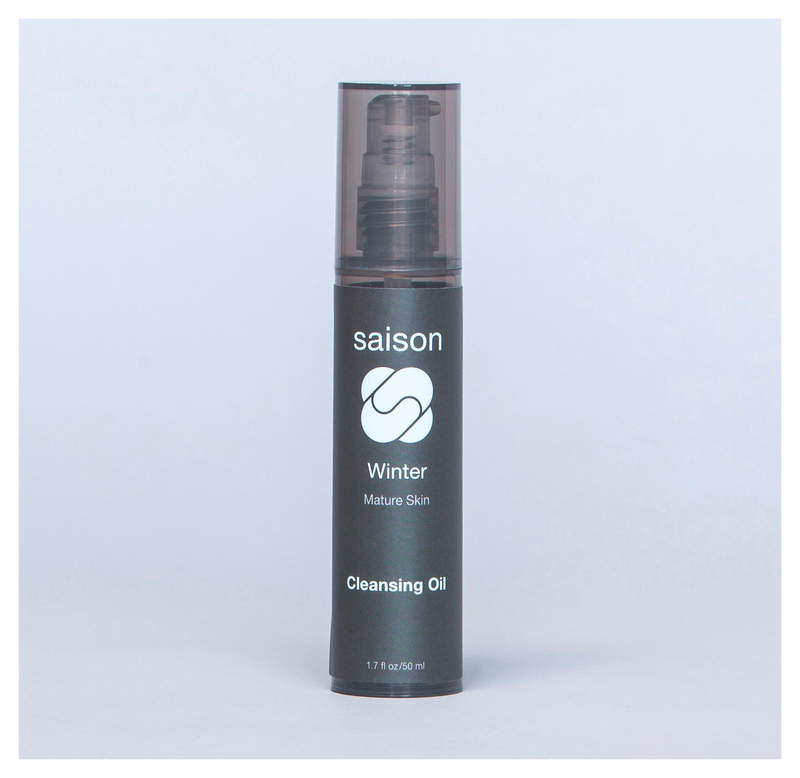 Look for cleansers that are “foam-free,” like the Saison Winter Cleansing Oil. When a cleanser foams, it usually contains harsh sulfates or other detergents that strip your skin from its natural oils. 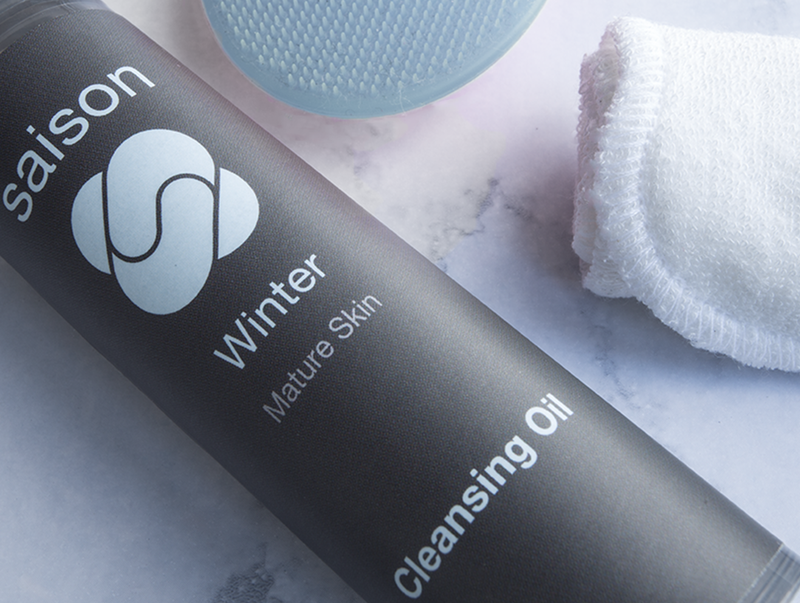 And if you are over-cleansing this time of year, you may compromise the natural protective barrier on your skin that helps you retain moisture and protect it from chapping, dryness, flaking, and more. During the winter, skin tries to adapt to the extreme weather and temperature conditions like cold air, wind and indoor heaters. When it’s not able to cope, skin will begin drying, chapping, flaking and getting irritated. Your skin also thickens with a build up of old dead, pigmented skin cells to create its own protective barrier, so it looks dull and rough. And since it’s difficult to maintain moisture levels and skin elasticity in the winter, this is the time when signs of aging – like wrinkles, sagging and hyper pigmentation – may appear more pronounced. And finally, your stress levels may be higher than normal, and your diet may consist of more rich, comfort food or holiday sweets than it’s used to. As a result, you may also be experiencing more skin inflammation (acne, rosacea, eczema, etc.). Apply the Cleansing Oil onto a dry face and neck, and massage into skin. Moisten hands with water and massage further to emulsify oil. Keep adding water until the oil becomes very light and slippery. Wipe off excess oil with a clean washcloth. Rinse again thoroughly and pat dry. Tip: This Cleansing Oil is also a very effective make up remover. And, with its rich nourishing oils, this Cleansing Oil also doubles as a beauty treatment oil.